I’m at week 4 of Preston Yancey’s Out of the House of Bread. At this point, this bread should be coming out perfect. I’m not really sure why it’s still giving me so much trouble. I don’t think anyone else can tell, but I can tell and it’s driving me crazy. 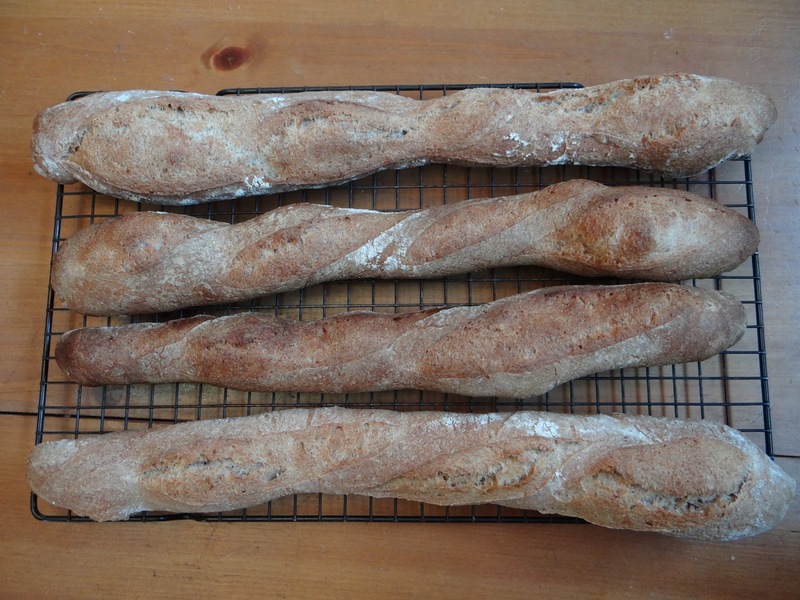 This week, I dreamed of making baguettes. I figured this recipe would work with a few tweaks. It’s sort of funny; each time I make the recipe I simultaneously move closer and further away from the original recipe as written. 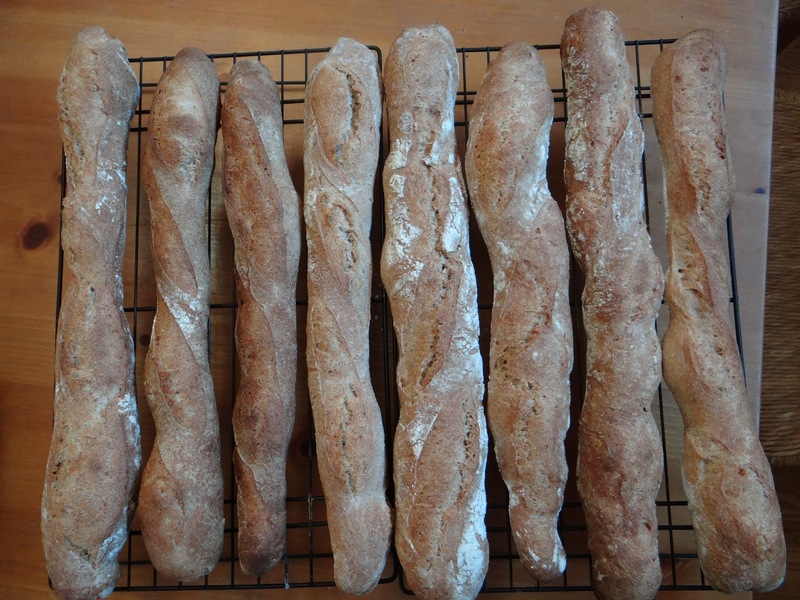 For example, this time I got the ingredients mostly right, but gave them a longer rise and shaped them differently – into baguettes! Then, I let them rise using a couche (a technique introduced to me by Yancey) and got to try out one of his techniques I had hitherto not needed: spraying the baguettes with water before scoring them to get a crispy crust. 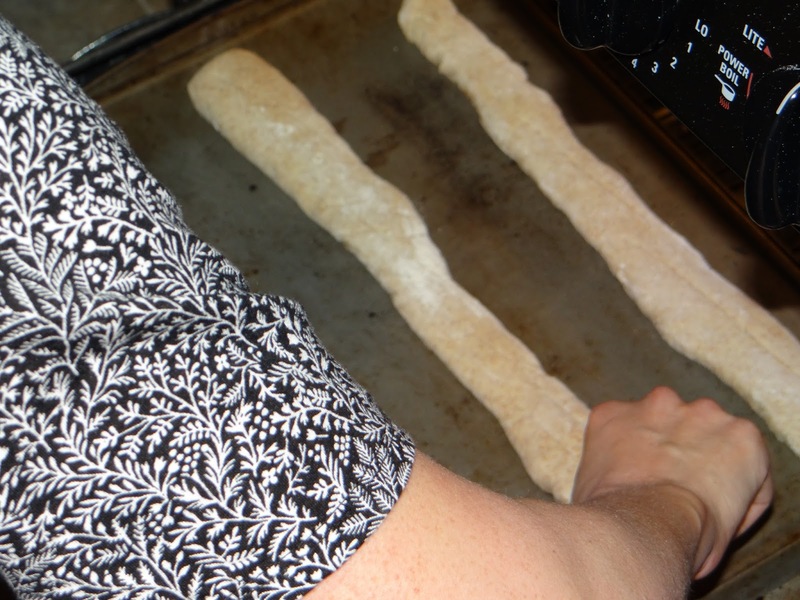 If you want to learn more about why I’m making this recipe multiple times, check out this post. 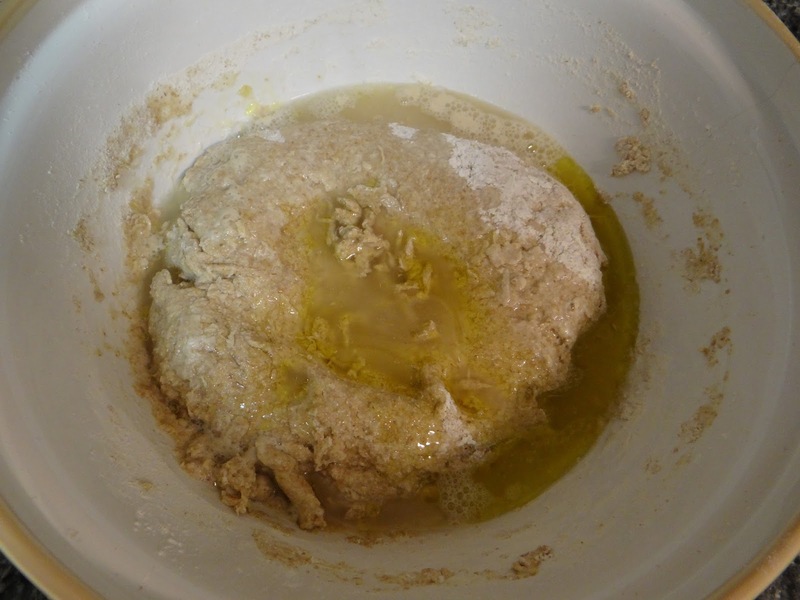 Mistake #1: Wrong flour. This wasn’t really a mistake so much as a failure to plan. 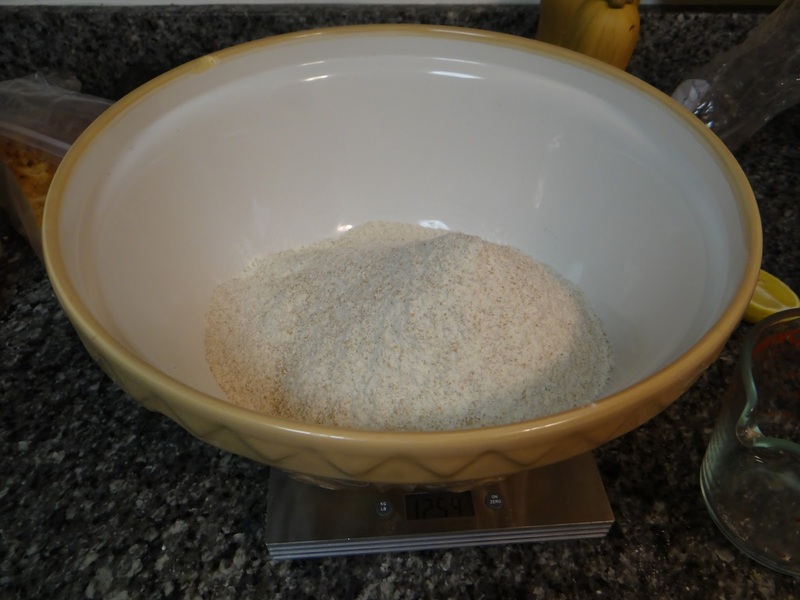 I ran out of all-purpose flour at 400 grams, and had to substitute whole wheat for the other 800 grams. Not the worst problem ever, but it does affect gluten formation. 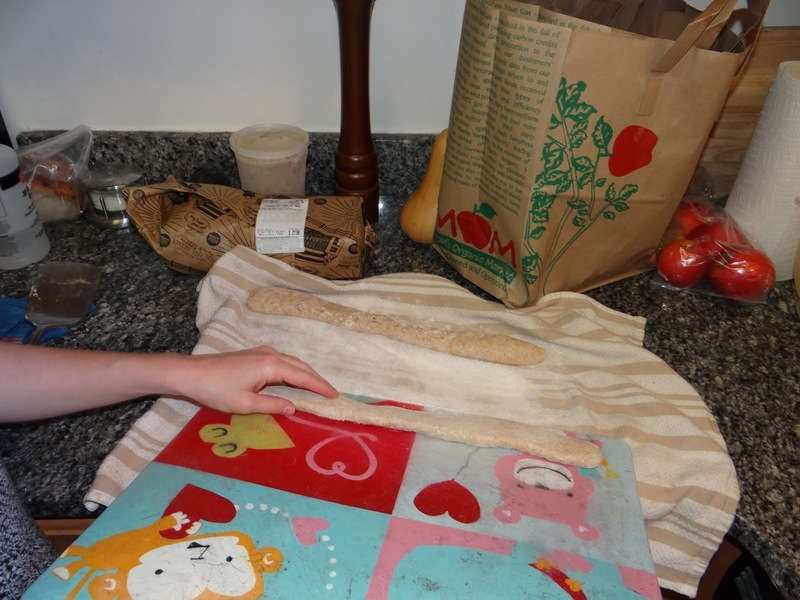 Whole wheat flour has less protein content than AP flour and absorbs more water. 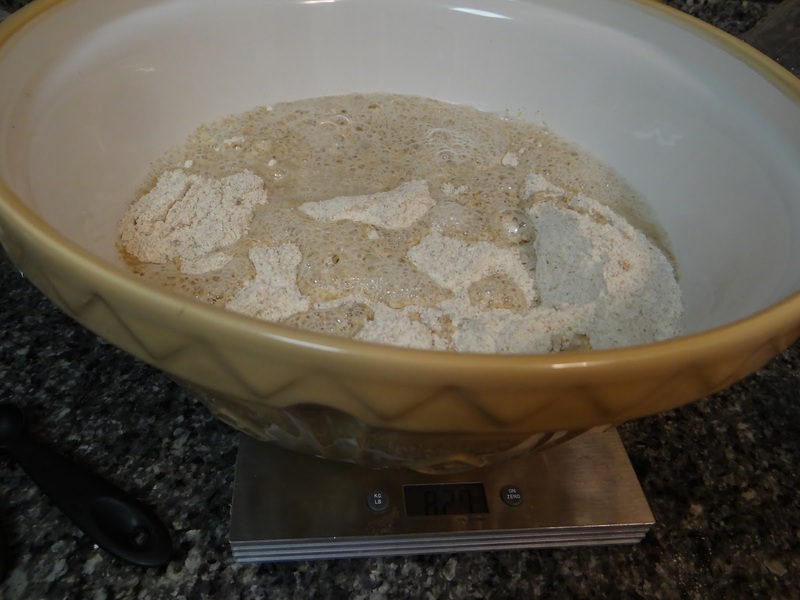 I added 800 grams of water (instead of the usual 775g) initially, then another 1/2 cup with the yeast, sugar and honey mixture. Mistake #2: No salt. 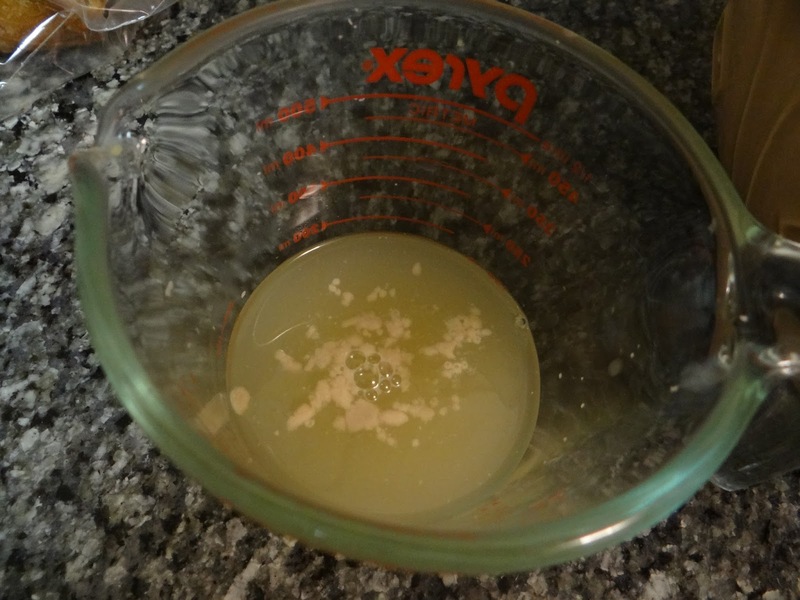 I added the yeast mixture but completely forgot the salt this time. I think it’s because there’s no step that ‘reminds’ me to add the salt. 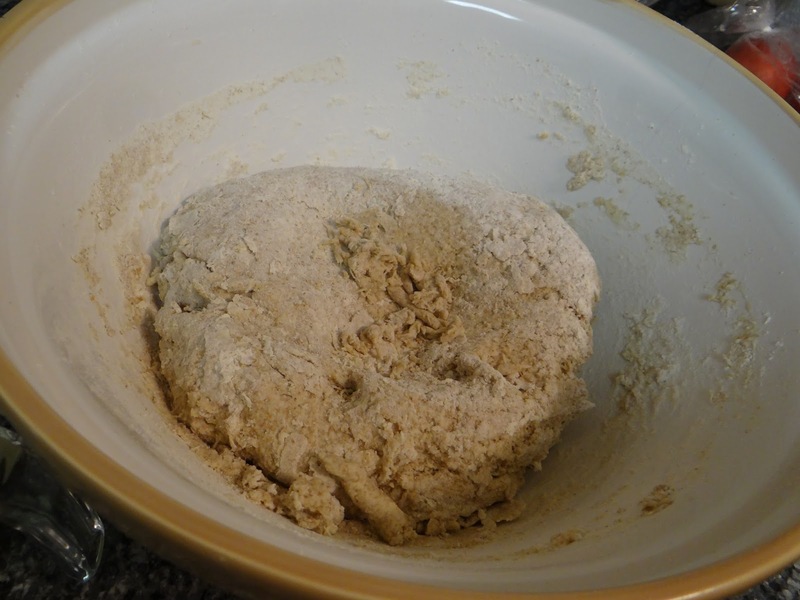 There’s the autolyse so I remember the flour and water, and the yeast mixture has yeast, sugar, honey, and water. There’s no mixture requiring salt, so I forget to add it. 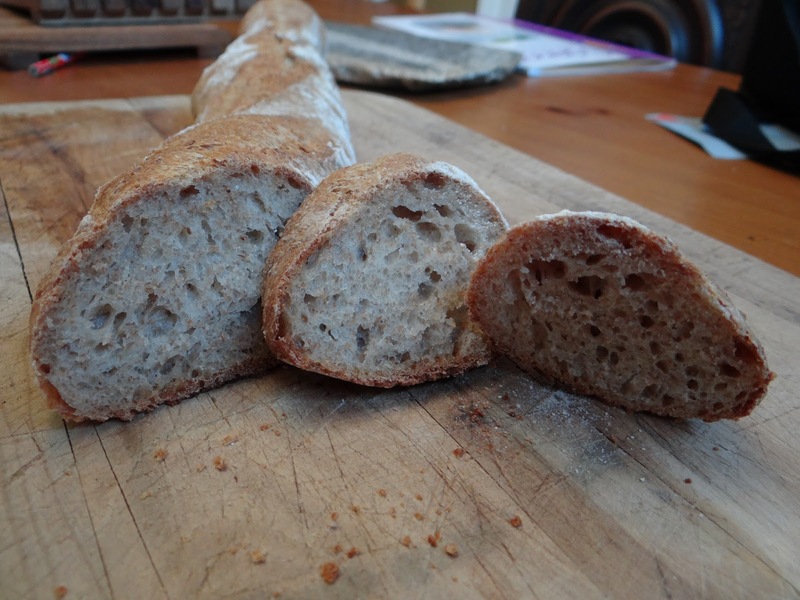 This time, I wanted to maximize flavor, so I only added 1/2 teaspoon of yeast so it would have a long fermentation time. 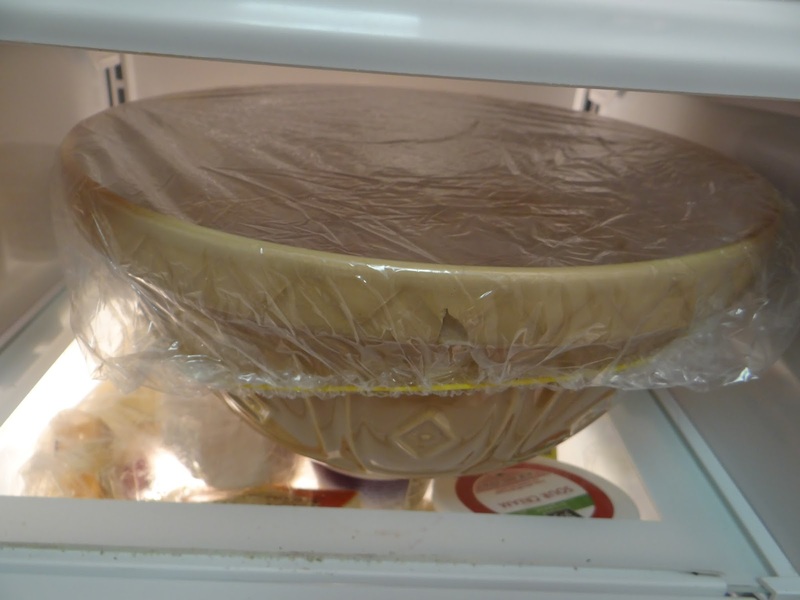 Again, to maximize flavor, I covered my bowl and let it ferment overnight in the refrigerator. After I refrigerated it overnight, I took the bowl out the next morning and let it rise on the counter for another four hours. 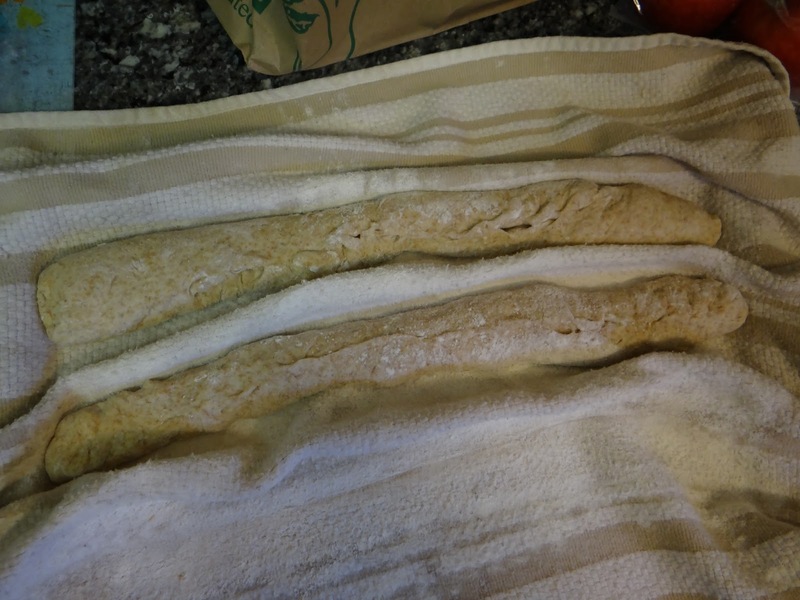 Then I divided the dough into eight pieces, rolled them out into baguettes, then let them rise another hour in my floured towel couche. Now I had a bit of a problem. 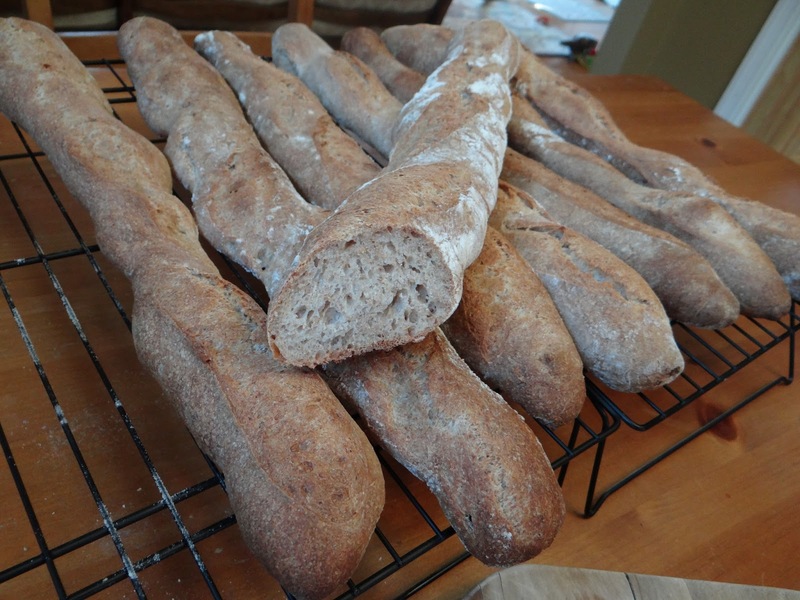 The baguettes would not fit in my dutch oven, but they still needed conductive heat for oven spring. 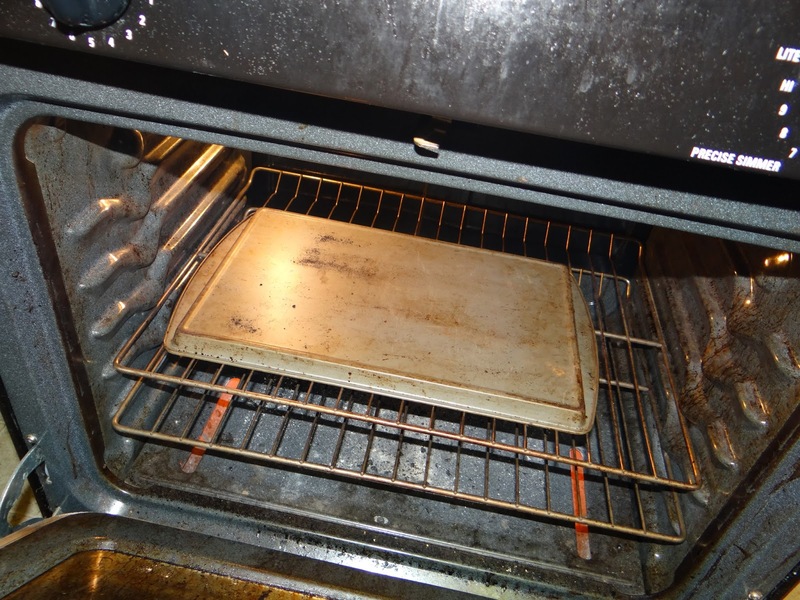 I used a heavy baking sheet upside down. 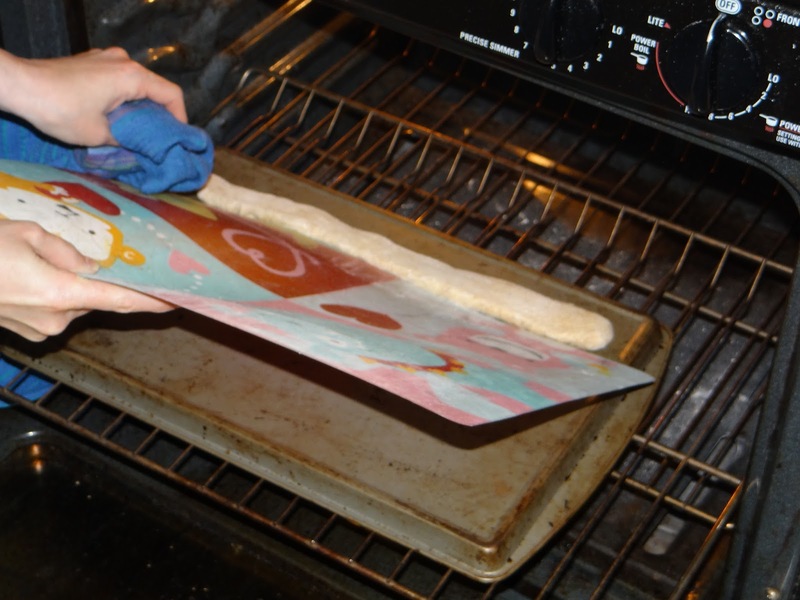 I used a plastic placemat as a peel to transfer the dough to the oven. 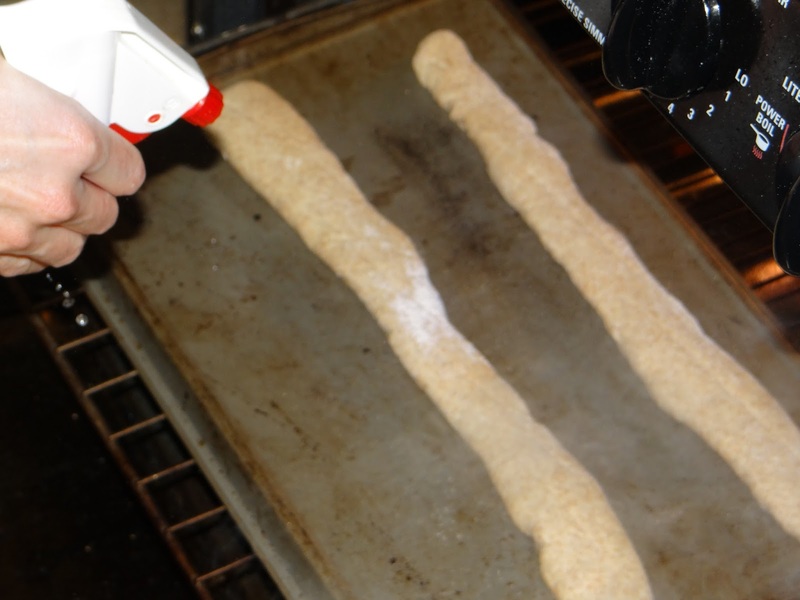 Spraying the baguettes after scoring them. This picture is blurry because the sprayer created lots of steam! 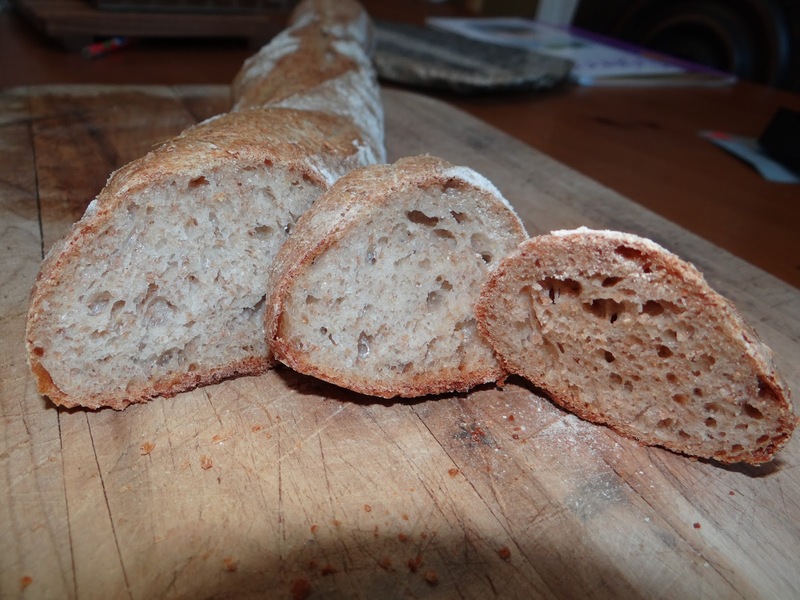 I was also very happy with the crumb. Look at those nice holes! I was hosting the after-church fellowship hour, so I cut these up and brought them with my soup. Even without salt, they got rave reviews. 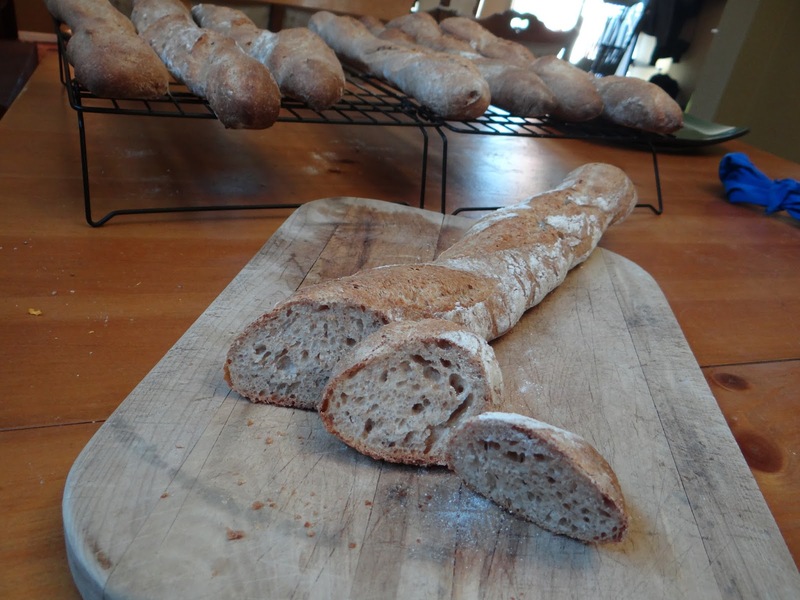 The whole wheat ended up being a benefit because they didn’t go stale as fast as regular white flour baguettes. Have you ever taken a recipe and made it yours? How much do you think you need to change it before you can call it your own? Please leave me a comment below!